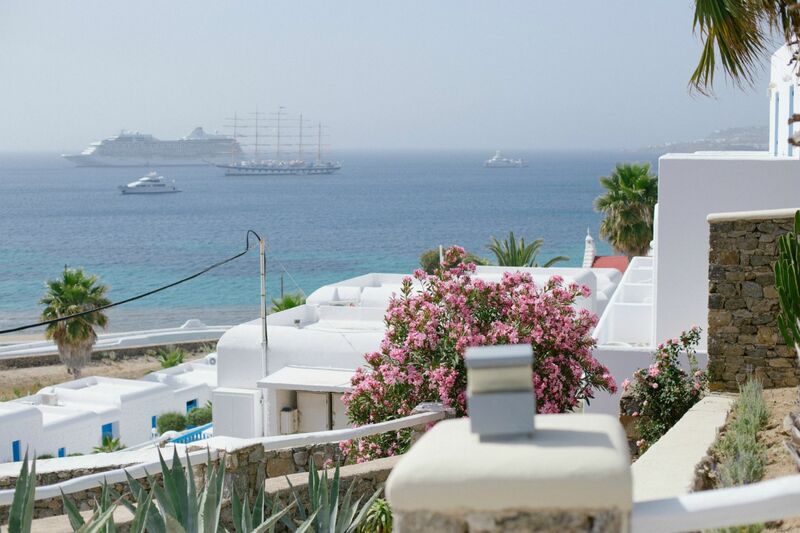 Nothing makes more memorable, than traveling and spending your time in a wonderful place, where you feel comfortable in a ultimate luxury of the trendiest hotel in Mykonos. 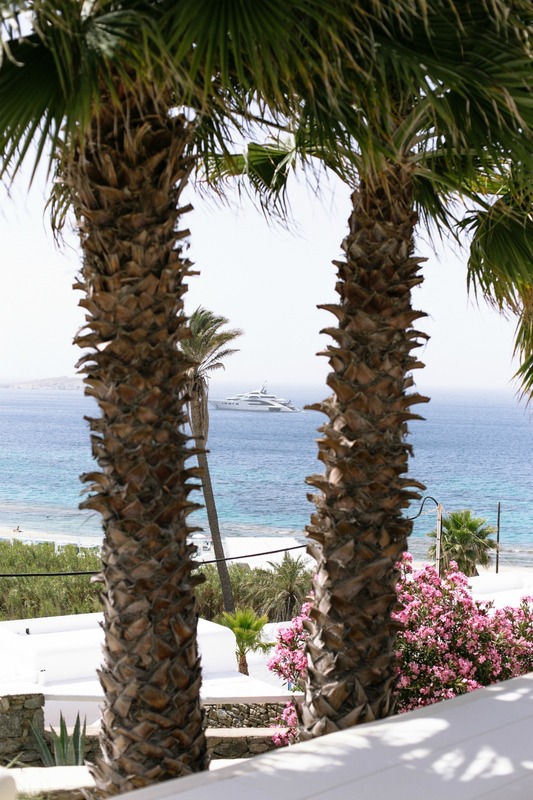 For this year’s birthday, I wanted to escape somewhere and thank to Silia, who suggested Bill & Coo Suites & Lounge, I had no doubt and said YES to this trip to Mykonos together with her. The view over Megali Ammos bay and just a approx. 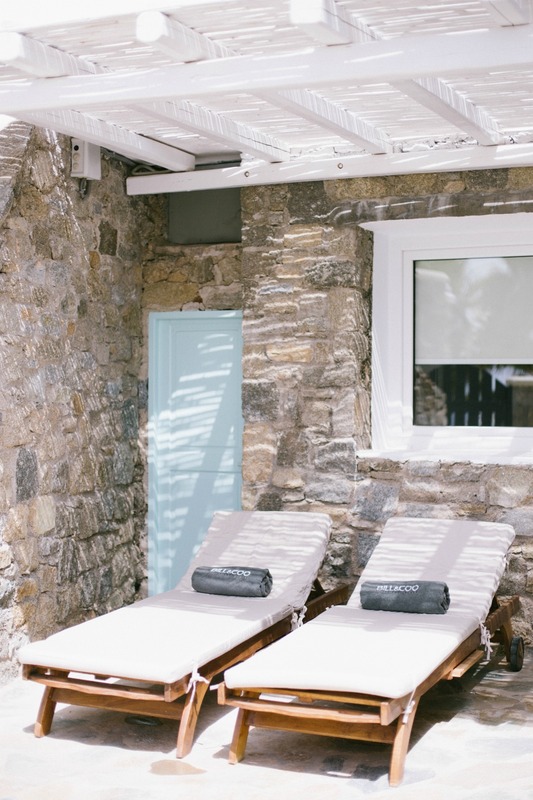 ten-minute walk to Mykonos Town, Bill & Coo Suites & Lounge is a perfect choice if you want visit to the old town easily, where you’ll want to go for walk or spend at least a bit of your time strolling around the gorgeous streets of the island. 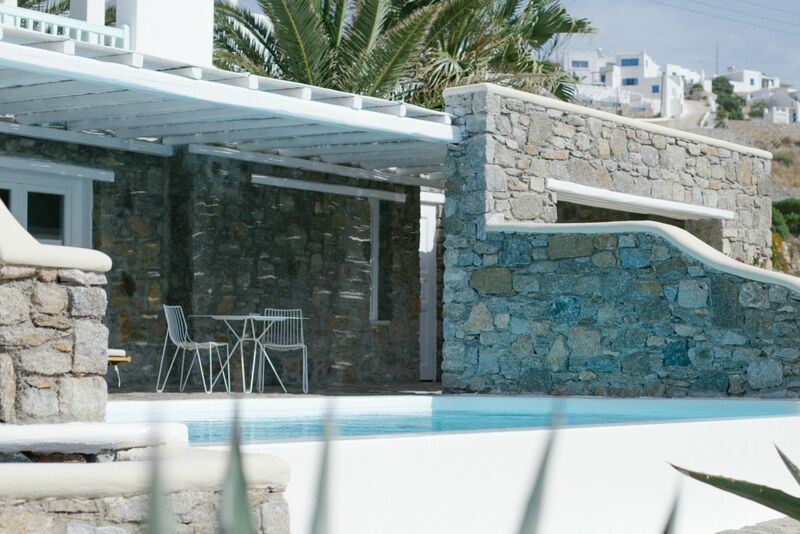 The hotel also provides transfers to Mykonos Port and Town. 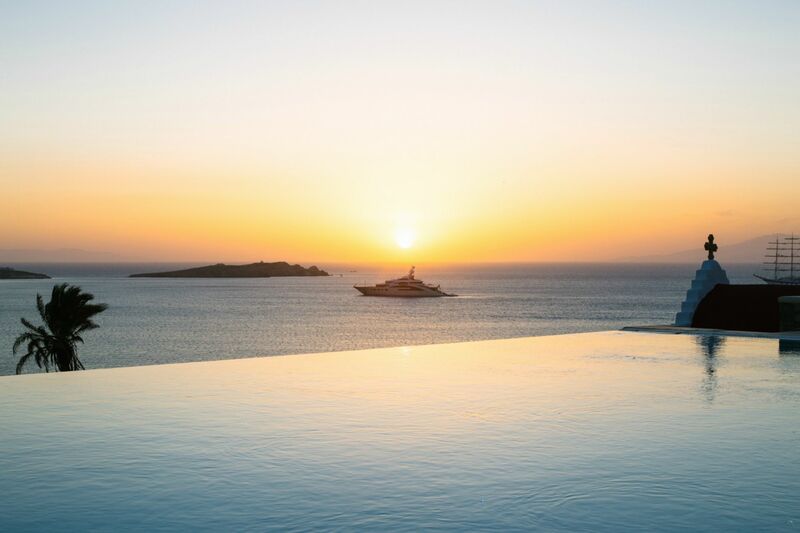 Established above Mykonos Town with an wonderful infinity pool and amazing sunset views. 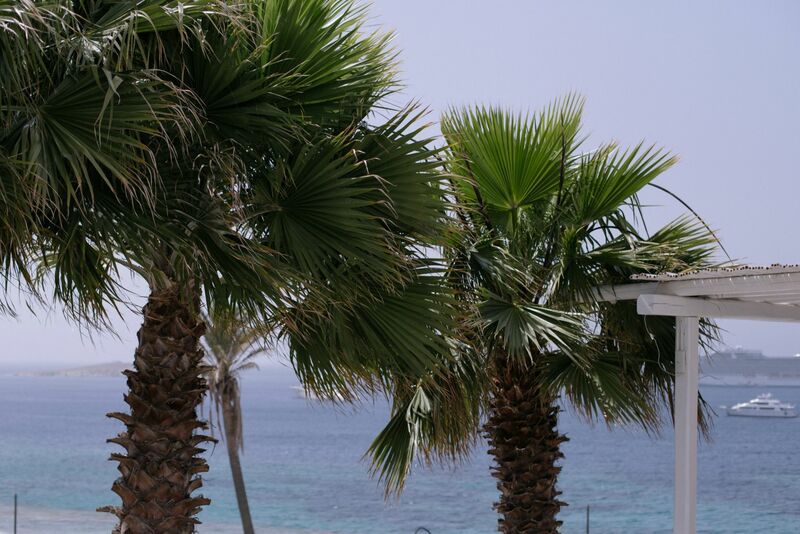 It’s quiet short walk to town and nightlife, as well as to restaurants of Mykonos Town. 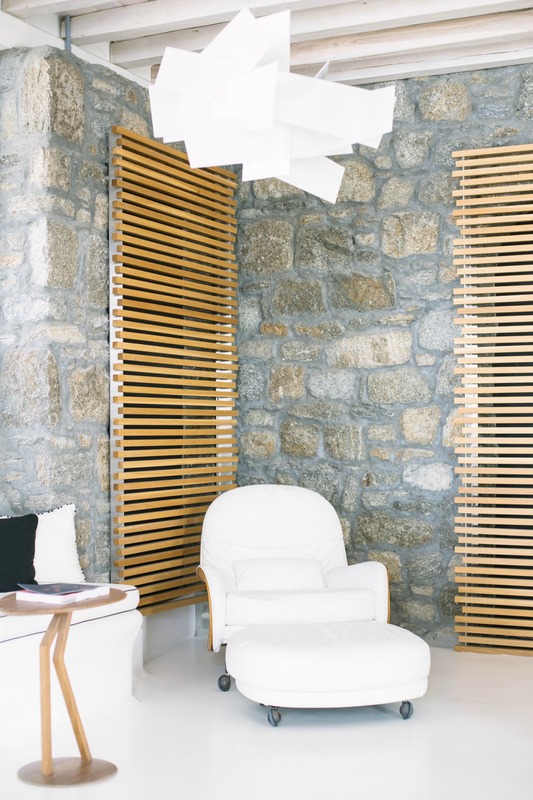 The British interior designers k-studio have kept the palette on the monastic side, layering the white-washed walls and ceilings embedded with timber trellises with polished screed and marble floors, and bespoke chestnut furniture. 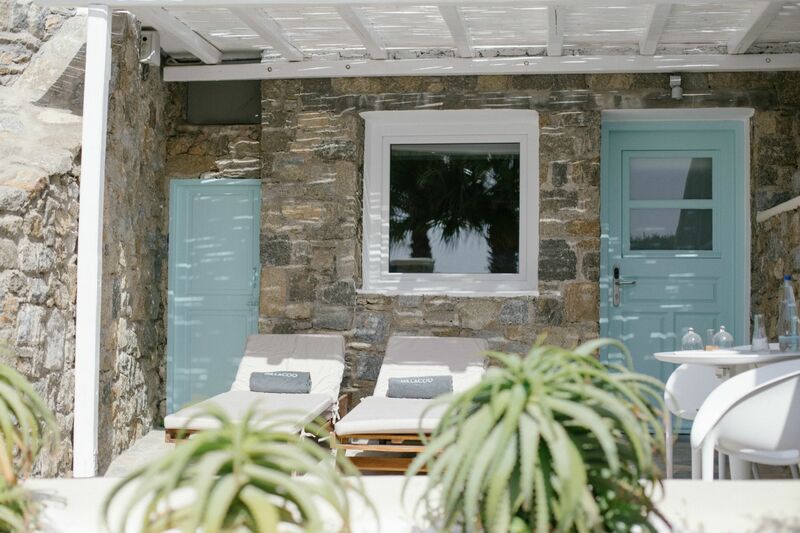 The designers studio kept the Mykonian building techniques and used natural materials, sourced and and crafted locally. 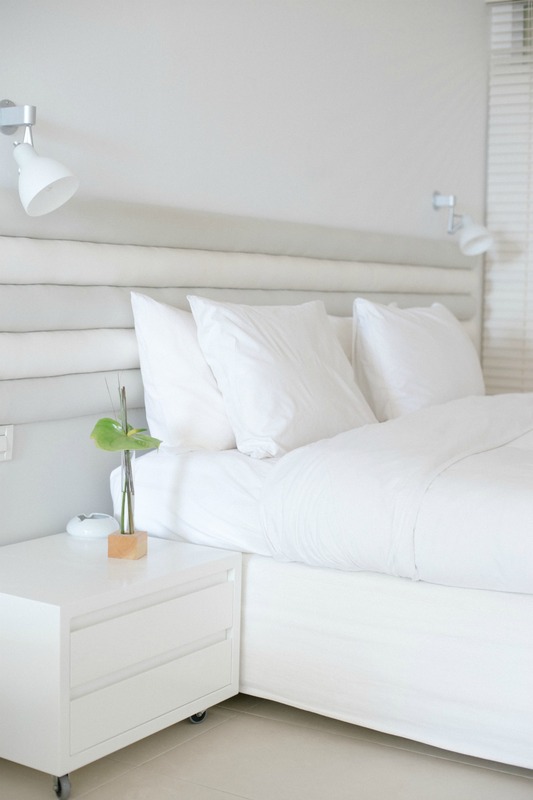 They created a warm, calm atmosphere of comfort and simplicity. 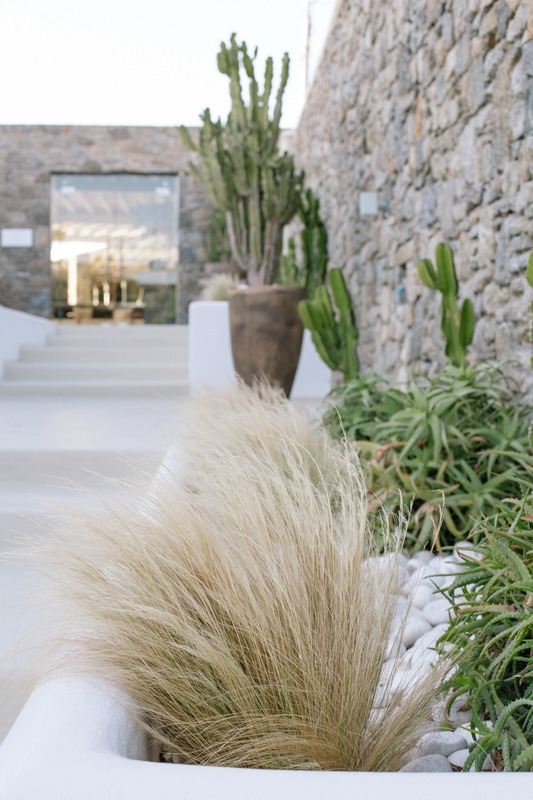 These include granite stone, white plastered walls, cement screed floors and warm oak furniture. 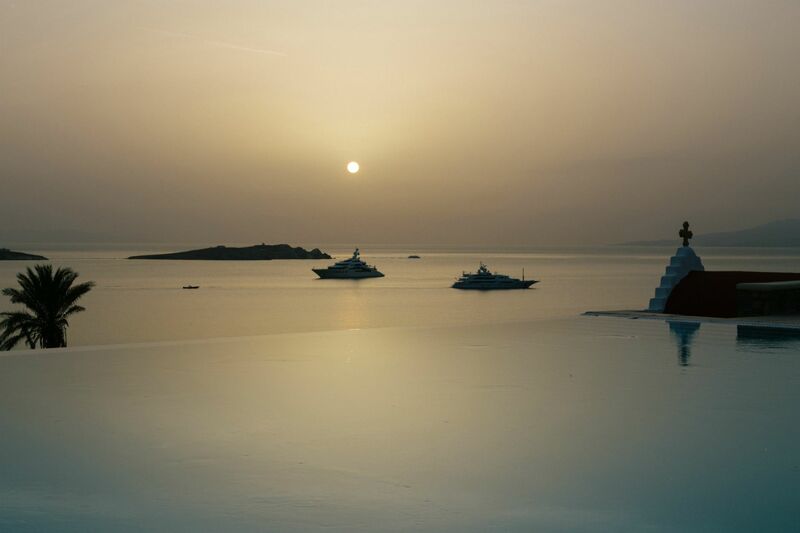 At poolside lounge of the Bill & Coo Suites, is where the most romantic sunsets of Mykonos happen. 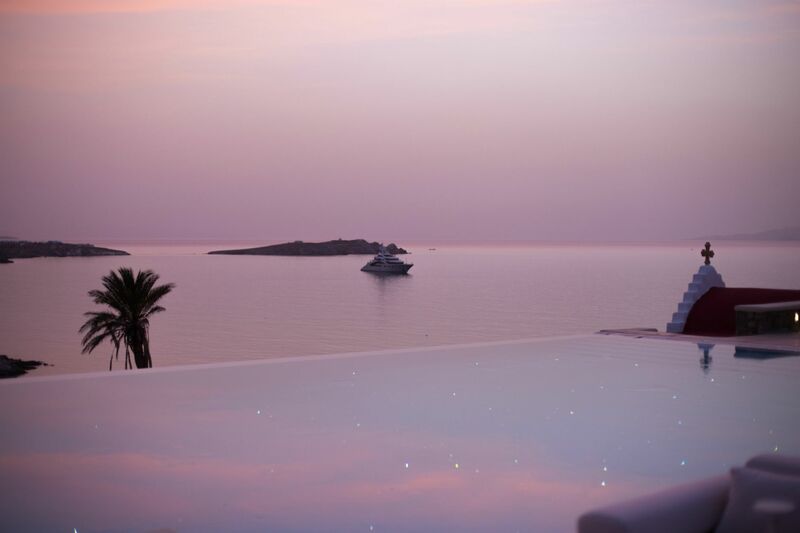 The stunning infinity pool looks over Megali Ammos bay and just gets better as the sun goes down to the horizon. During our stay, we absolutely loved the music that was played by poolside lounge. 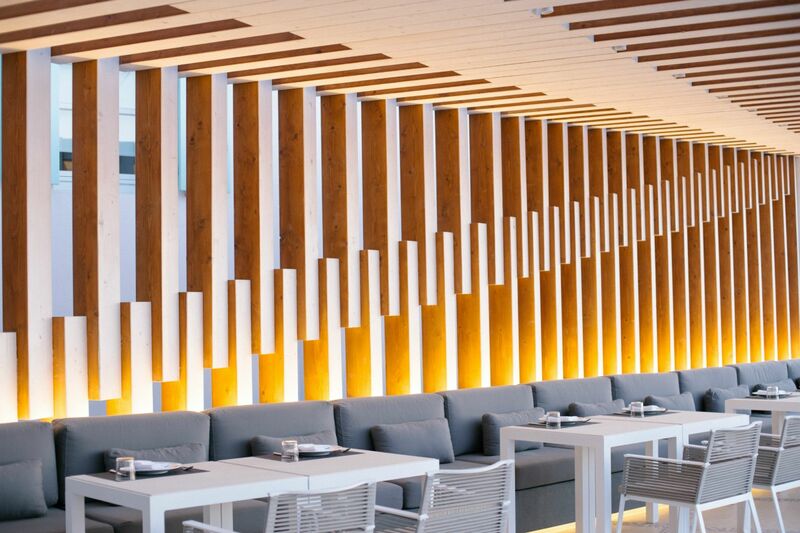 Rarely I like the playlists of the lounges, poolsides or restaurants, but Bill & Coo Suites & Lounge mastered it so good. 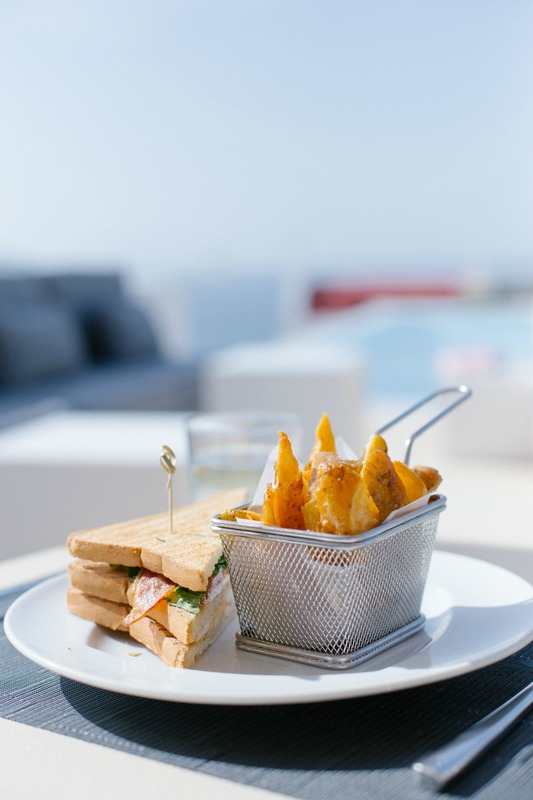 The drinks and the snack menu are wonderful as well! A classy combination of glass and wood-panel flooring surrounds the infinity pool, where you can unwind on banquettes or sun loungers and admire the view. 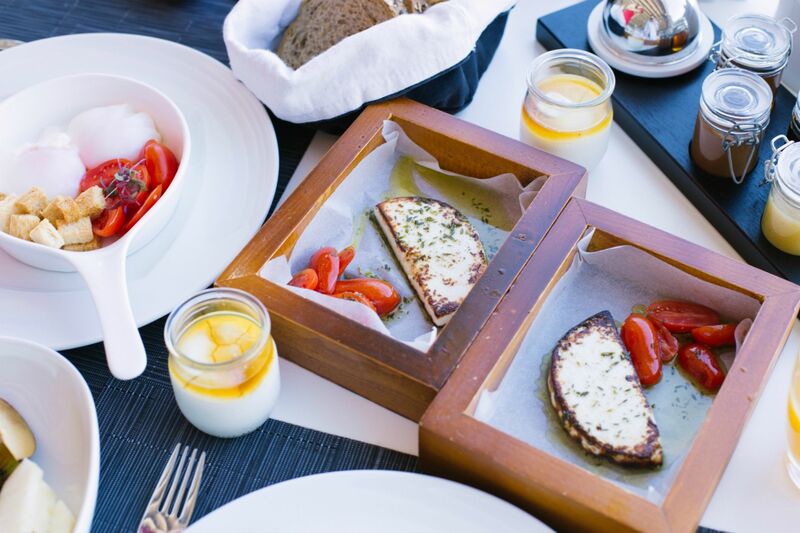 Splendid Mediterranean-inspired dishes created by award-winning chef Athinagoras Kostakos and his talented team at the Mediterranean á la carte restaurant was a unforgettable dining experience. We also enjoyed having drinks at the Lounge bar by the infinity pool. It was worth getting out of bed for the breakfast. 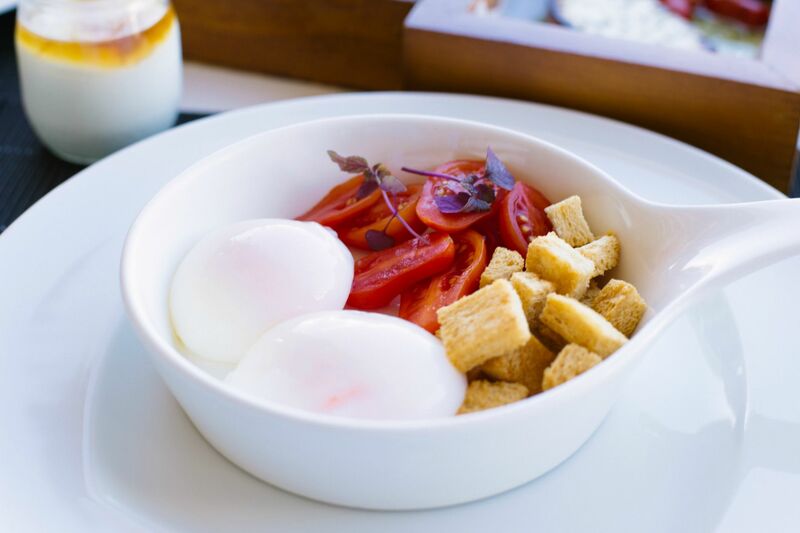 The breakfast was á la carte from an extensive menu of Mediterranean mind-blowing dishes, that had us craving for the breakfast when we left Mykonos. 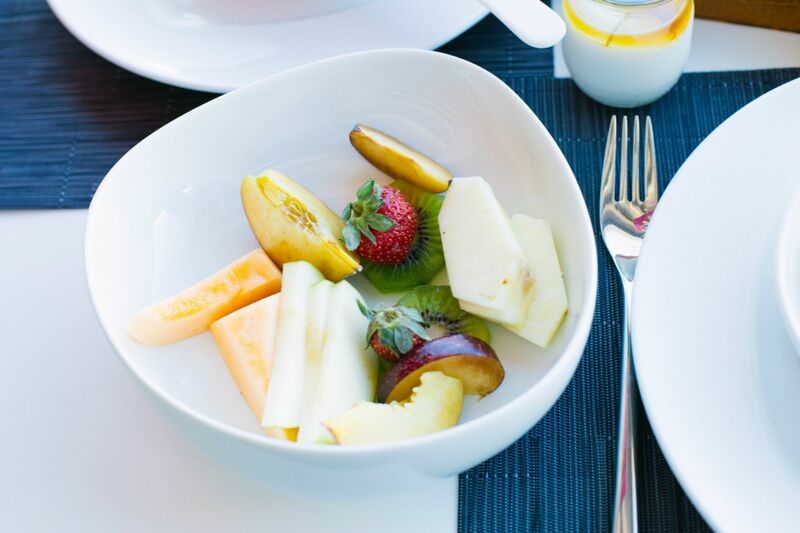 In our day one, we ordered scrambled eggs, grilled feta and cherry tomatoes, greek yogurt with honey and a bowl of seasonal fruits. 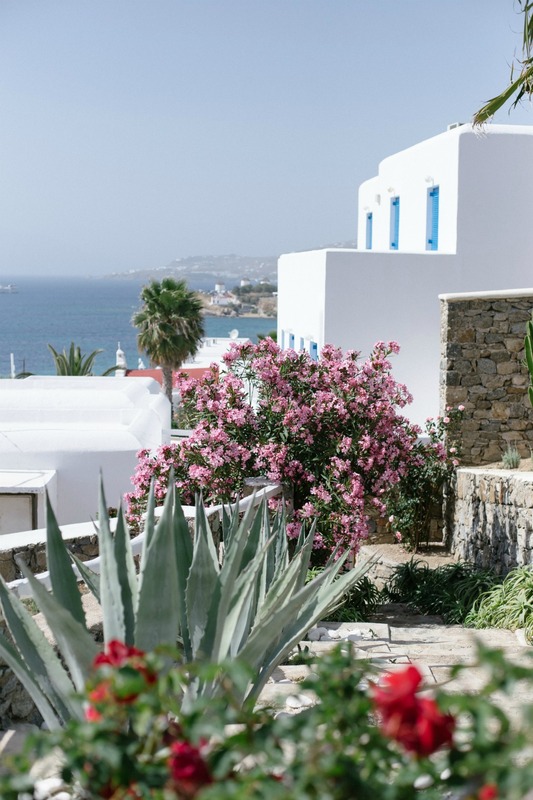 Then on the next day we tried the poached eggs with grilled manouri cheese, and greek yogurt with honey – that was our absolute favorite breakfast in Mykonos and had the same dishes everyday. The service is absolutely incredible! Whether it was staff at the reception, at the restaurant, poolside, lounge or housekeeping, everyone was very friendly, warm and very kind. The staff makes guests feel like at home and this is wonderful. 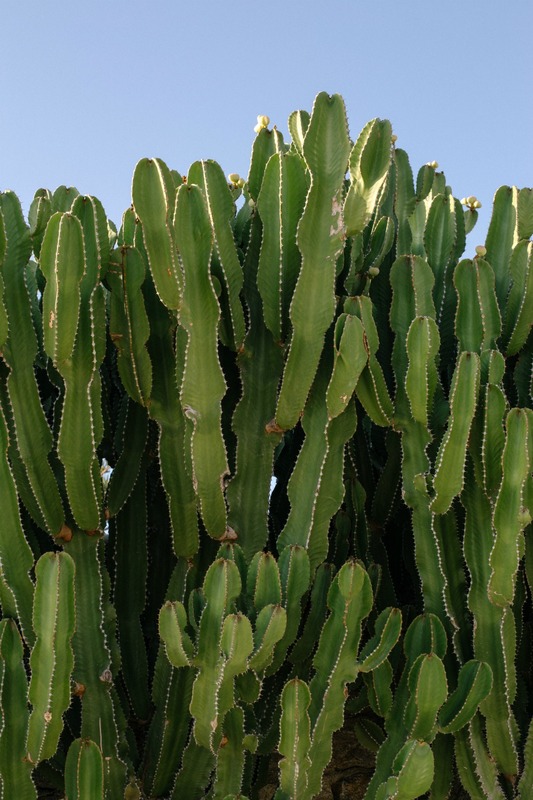 When we arrived, we were picked up at the airport by a member of staff, and also in the end of our stay we were dropped off at the airport with a wonderful service, who walked another five minutes to wheel the bags all the way to the terminal. No matter when, the hotel tries to provide as much assistance as possible in case of guest requests. Not forgetting to mention, the restaurant staff always gave us great recommendations and everything was served with so much love. 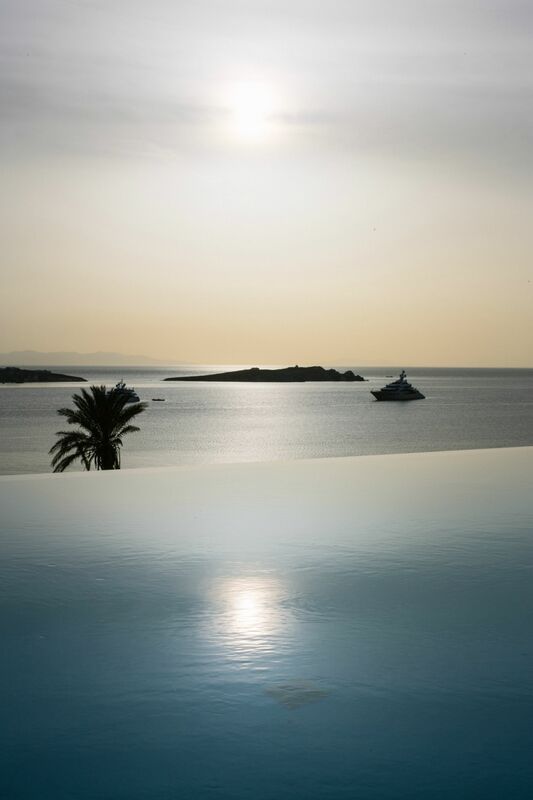 For couples looking to enjoy the irresistible views over Mykonos get a relaxing daybed by the hotel’s infinity pool where you will enjoy the unforgettable sunset and after dark, you will be in for a real treat as the infinity pool becomes lit by lanterns and in-water fibre optics creating a beautiful starlight effect. Bill & Coo Suites & Lounge offers also a massage and a small fitness room. 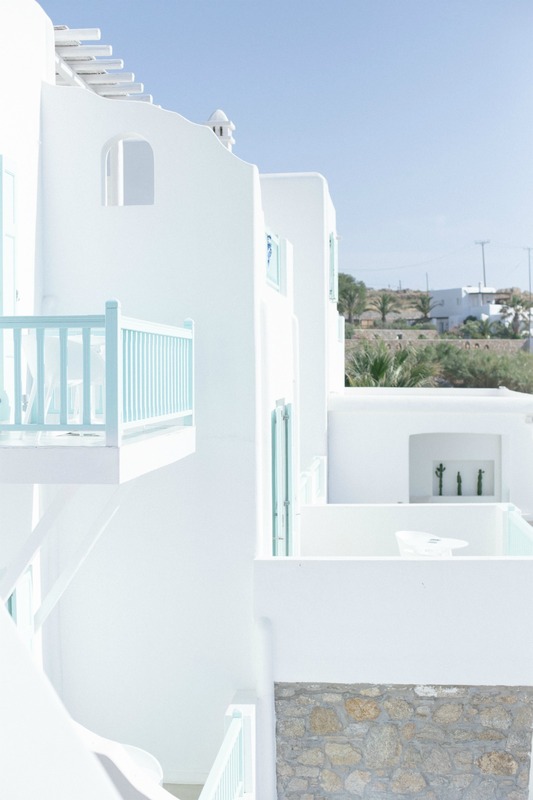 For couples searching for an intimate and laid-back beachside vibe, away from the Mykonos nightlife, this stunning five-star hotel is just the location for your Greece honeymoon. 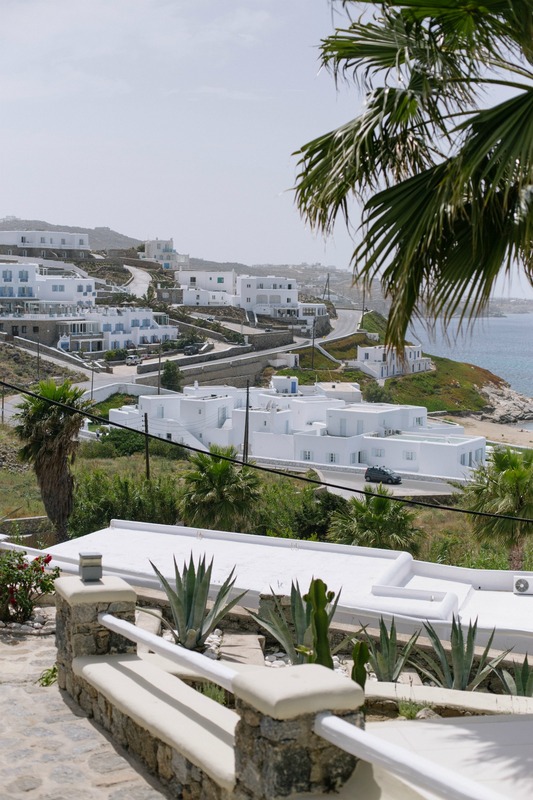 But also for singles is a perfect hotel to relax and there is ten-minute walk to Mykonos Town, for those who want to spend the nights out. 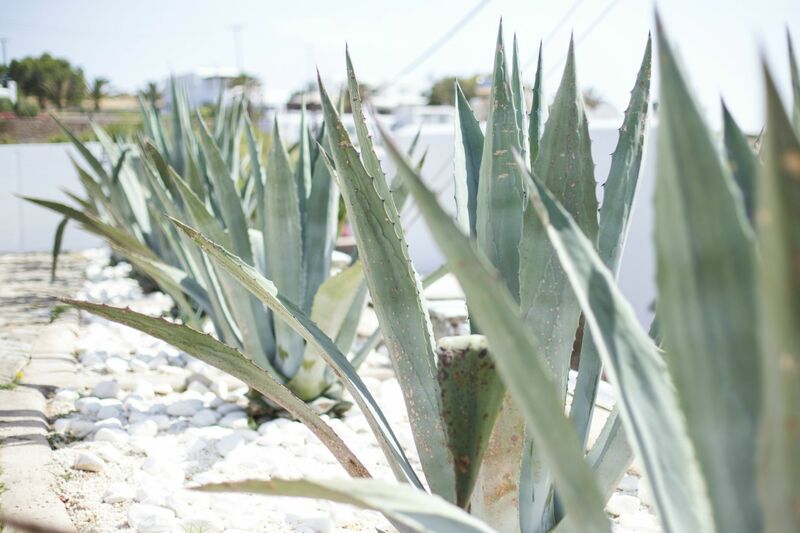 High heels and streets of Mykonos are not designed to go well, so make sure you have some flat party shoes or maybe a pair of comfortable (not too high) wedges. It can be quiet windy in the night, so don’t forget to take a summer cardigan or a jacket. Another tip: take clothes that you don’t need to iron. The hotel doesn’t have irons as room service! The highlight of our stay at Bill & Coo Suites and Lounge, were the incredible sunsets that played a perfect symphony of colors of blue, yellow, gold, purple and a swimming pool with lights that looked like stars, when it was dark. Enjoy the views!